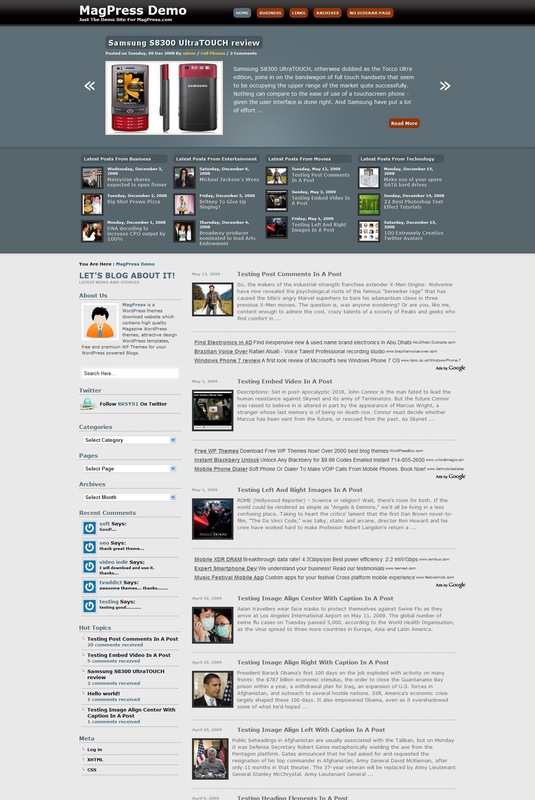 Free WordPress Theme – AppZine | WordPress Theme | All Free Web Resources for Designer - Web Design Hot! AppZine is a 2 columns fixed width WordPress theme developed by MagPress.com. This WordPress template has customized featured content glider, four columns for featured categories, Adsense ready, Twitter ready and many more. License: CC Attribution-Share Alike 3.0 United States License. This entry was posted on Monday, October 18th, 2010 at 7:34 pm and is filed under WordPress Theme . You can follow any responses to this entry through the RSS 2.0 feed. You can leave a response, or trackback from your own site.